For some time now, Luta (Rota) has had two parishes - San Francisco de Borja, the original in Songsong - and San Isidro, the new one, in Sinapalo. Various priests have come and gone since Luta opened a second parish. But, if you ask most people in Luta, there is only one "Påle' Luta," the one who's been there for forty-four years! Monsignor Louis Antonelli. For most of those 44 years, he was the one and only priest on Luta and he got to know everyone on the island, and everyone knew, and knows, him. ~ The first place (outside of Guam) he asked to be assigned to was Alamagan. But the diocese didn't send resident priests to the northern islands. Priests from Saipan would alternate going up to all the inhabited northern islands every three months or so on a government vessel. ~ There was a man in Luta who had been an interpreter in Guam during the war. Apparently he had made some enemies on Guam, and would have been killed if he set foot back on Guam. Antonelli prepared the man for death when his health deteriorated. ~ Antonelli's first experience of Luta was during summers in the 1950s. Since he was a school teacher (at Fr Dueñas), summers were when he could cover a parish while the pastor took a break. 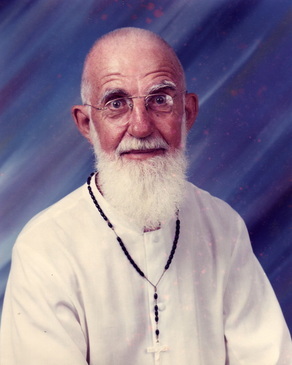 In the 1950s, Capuchin Father Cornelius Murphy was pastor of Luta. He lived very poorly. The konbento (rectory) had no electricity yet. Antonelli used a kerosene lamp at night. Father Cornelius also ate very poorly. On one day, Father Cornelius would have spam for lunch and canned corned beef for dinner. The following day he would have canned corned beef for lunch and spam for dinner. Antonelli got sick of canned meats because of this. ~ Marcelino Mangloña was Father Cornelius' house boy (låhen Påle'). Marcelino would ring the church bell 70 times every morning at 5AM to get people up for Mass. ~ Daily life in Luta in the 1970s. People went to Mass early in the morning then went to their ranches to farm. During the day, no one was at home except the very old. The children were at school and the adults were at their ranches. Pedro came home one night, to find his house locked and his wife, Ana, refusing to open the door. It was Guam in the year 1872. 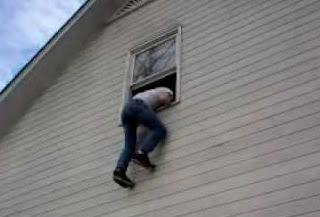 As Pedro became agitated, demanding that Ana open, a man named Félix jumped out a window. Ana then opened the door, to a screaming Pedro repeatedly shouting, "Where was that man!" "Måno eståba ayo na taotao!" Pedro was screaming so loud that neighbors started to gather outside Pedro's house. The five small children born to the marriage were standing around Pedro, crying their eyes out. Such a public scandal ensued that the matter was brought before the island government. It seems many people knew that Ana was carrying on with Félix. Some testified that Félix had claimed to some that he was planning to take off with Ana on his boat and move to the Bonin Islands, in Spanish and Chamorro, the Boninas. The Bonin Islands were, by the time Félix and Ana were carrying on, under Japanese control. But, prior to that, the deserted island was settled by a mixture of British, American and other European men, along with islanders, male and female, from Hawaii and elsewhere. There was even one Chamorro lady, María de los Santos, married to the American settler Nathaniel Savory. 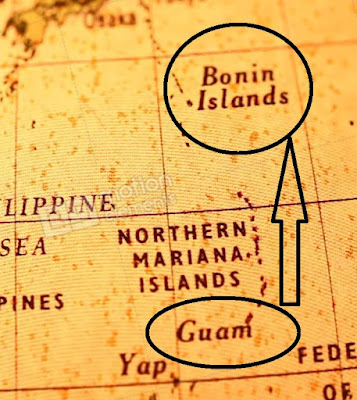 There had been periodic contact between the Bonin Island settlers and the Marianas, and people in the Marianas knew of the existence of these islands to the north. One former Bonin Island resident, Richard Millinchamp, with his son Henry, left the Bonins and settled on Guam. Félix never got to accomplish his dream. 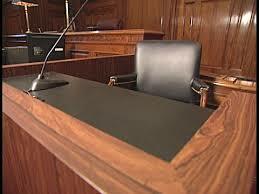 The law found out and forced an end to the illicit relationship he had with a married woman. 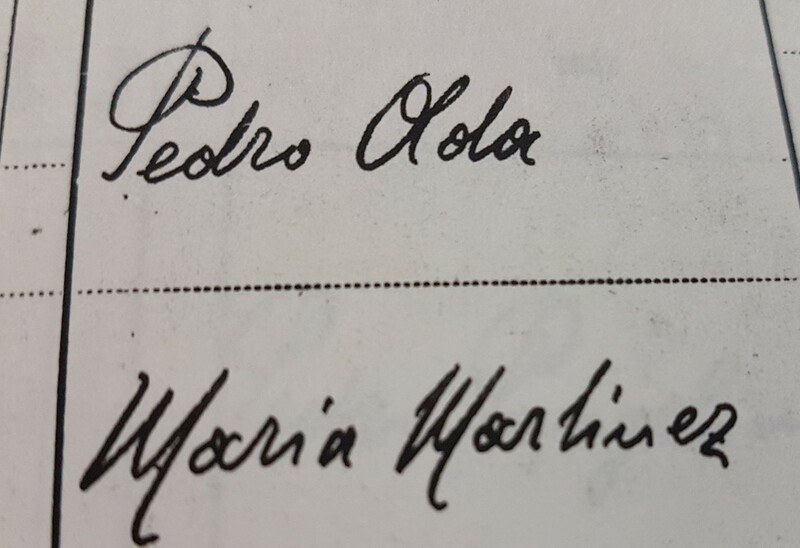 Pedro and Ana stayed married till death. NOTE : Although I know, from the documents, the last names of all involved, I am leaving them out. The descendants of these people are alive and well down the street from us. History is not confined to the past. Past events touch us even today. The Aldan family is a well-known family in Saipan which originated in Guam. For a time before the war, there were some living in Yap, as well. Now, the Chamorro Aldans can be found all around the Marianas and the U.S. mainland. The family founder was a Filipino named Lucio Santos Aldan, the son of Tomás and Ana. Lucio was born in Imus, in the Province of Cavite, very close to the capital city of Manila. Tomás, therefore, was Tagalog-speaking. Spanish records indicate that he was a carpenter by trade. Aldan, by the way, is not a surname found in Spain. But there are Aldans in the Philippines and is probably a Filipino name. At some point before the 1860s, he moved to Guam. There he met his future wife, the Chamorro María Rivera de León, the daughter of Juan and Rosa, all from Hagåtña. Their first children (Ana, Tomás, Juan, Antonio, Rita and Manuel) were born on Guam but sometime in the mid 1880s (1884-1886) he moved with his family to Garapan, Saipan where he stayed till he died in 1896. He lived for a very short time in Tinian, as well, during his Saipan years. In Saipan, a son Vicente was born. 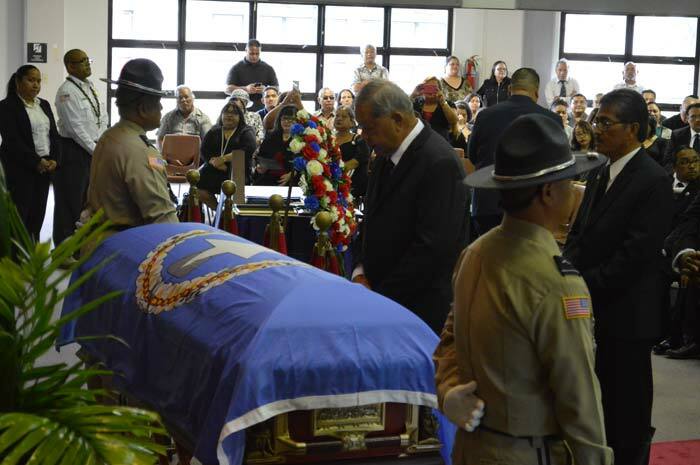 In Tinian, a daughter Francisca, the last of the eight children, was born. The five sons, of course, were mainly responsible for the spread of the Aldan name as they married and had numerous children. Tomás married Encarnación Cruz Concepción. Juan married Nicolasa Cruz de León Guerrero. Antonio married twice. First with Soledad Aurora Fausto and, after her death, with Maria Muña Charfauros. Vicente also married twice. The first time with Antonia Díaz Castro and, after her death, with María Tenorio de la Cruz. Manuel married twice, as well. First with Nicolasa Camacho Manibusan and, after her death, with Rufina Hernández. Among the three daughters, Ana married Luís Luján de la Cruz, Rita married Antonio Esteves and Francisca apparently never married. The Saipan records also show that there was a man named Pedro Magofña Aldan, born in Guam around 1874. Was this an error made by a priest or secretary? Was his "Aldan" name really something else? 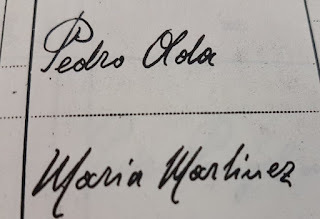 Lucio was already married to María de León long before 1874, so who was this other Aldan married to a Magofña (unless it really wasn't an Aldan, only a mistake made by the record keeper). Pedro appears in the marriage records as having married on Saipan in 1917. His bride was Natividad Cabrera San Nicolás. No children apparently issued from this union. Some people who speak good Chamorro know that the Chamorro (Spanish) name for Adam (as in Adam and Eve) is Adán. It sounds awfully close to Aldan, because in traditional Chamorro the L in Aldan is changed to a T. At - dan. And some people wonder, humorously, if the First Man Created was from the Aldan family. No. The answer is no. It's just that the two names are just one letter apart and sound very similar. But the two names are totally unrelated. One of the earliest Spanish military commanders in the Marianas was from Peru. His name was Damián de Esplana. He was on Guam by 1674 and took up military leadership that same year, and later became actual Governor of the Marianas from 1683 to 1686 and once again from 1689 to 1694. Esplana, being a Peruvian Spaniard, was naturally very proud of his saintly compatriot, Rosa de Lima. She was the first saint born in the Americas, the New World. A Dominican tertiary, Rosa de Lima lived a life of extraordinary prayer and penance, and her fame spread throughout the New World as well as Europe. She was canonized a saint in 1671, just three years before Esplana came to the Marianas. The devotion Esplana had for Santa Rosa was noted by the missionaries in their records. A girls school in Hagåtña, founded in 1674, was named in honor of Santa Rosa. More than likely the same year, a church in Tepungan (in Piti) was built and named Santa Rosa to honor Esplana's devotion to her. It was the first church in the Marianas named for Santa Rosa. For some unknown reason, the patroness of Tepungan (Piti) was later changed to Our Lady of the Assumption. In 1680, a church in Hågat was built and also named Santa Rosa. Years later, we see evidence that the patroness of the Agat church was Our Lady of Mount Carmel, but the Spanish had this custom of often having multiple patron saints. One for the village itself, and another for the parish church. We see this in the capital city of Hagåtña, where the patron of the city is San Ignacio de Loyola, and the patroness of the church is Dulce Nombre de María. Esplana may not have had anything directly to do with the naming of Hågat's church as Santa Rosa, but he wasn't totally unconnected with it. He was an important figure in the struggling Spanish colony, and the missionaries knew about the special place Santa Rosa had in Esplana's heart. On August 7, 1899, the first American Naval Governor of Guam appointed by the US President, Captain Richard P. Leary, arrived at Apra Harbor. Leary was very critical of the Catholic Church on Guam. He had a low opinion of the Spanish missionaries and in short order expelled them all from the island. He also opposed the role of the Church in public life on Guam, and banned religious instruction and the hanging of crucifixes and religious pictures in the schools. He also put his attention on banning the public observance of the church fiestas on Guam. He issued this ban just a few days before the fiesta of Santa Rosa in Hågat. Maybe he had heard talk about the upcoming fiesta; how people took off from work in order to prepare for the fiesta by erecting the åtkos (street arches) and cooking the food and organizing the entertainment (such as cockfighting, or gayera) that usually accompanied such celebrations. Well, Leary wasn't going to have any of that and issued Executive Order No. 4 stating, "Public celebrations of feast days of the patrons saints of villages, etc. will not be permitted. The church and its members may celebrate their religious feast days within the walls of the church...." Keep it inside the walls of the church, he said. No processions with the statue, no arches on the public streets. A copy of the Order was sent to the gobernadorcillo (like a mayor) of Hågat the day before the fiesta, which was celebrated on August 30th in those days. It was a very different, then, if not dull, Santa Rosa fiesta in Hågat that year. The fiesta of 1900 went back to normal, as Leary was no longer Governor of Guam. Needless to say, Leary was not a very popular governor on Guam, and some of his decrees were later rescinded by subsequent governors. Leary's orders banning the public celebration of fiestas was a wake-up call to the Chamorros of Guam that a new way of life had entered. Though short-lived, the fiesta ban was only one of many changes the American administration ushered in, much of them to last to this day. For many decades, Guam Chamorros lived with the tension created between two hundred years of Catholic, Spanish colonization and the new American style. We see this tension even today. This Chamorrita verse gives new meaning to the Bee Gee's hit song "How Deep is Your Love." 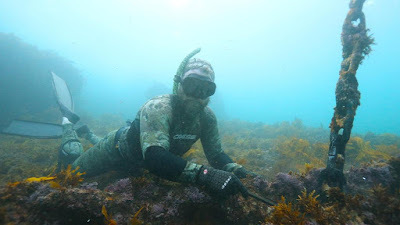 According to the man, he would dive to the bottom of the sea for his sweetheart. Candy Taman sings the verse for us. yanggen gaige hao fondon tåse. The verse points to a man's natural desire to prove himself worthy of the lady's love, and to his great strength and determination. Desåse. Many Chamorros pronounce this dechåse. It comes from the Spanish word deshacer. "Des" is a negation, like our English "dis" (dislocate, disregard). "Hacer" means "to do, to make." Deshacer means "to undo, unmake." If you build a temporary wooden platform (palapåla) for a party, after the party you desåse it; you break it up and put away the parts. Atotga. Taken from the Spanish otorgar, "to consent, to give." Chamorro took the meaning of this word further to mean to be courageous enough to consent or agree to dare, to chance and to risk. Busero. Borrowed from the Spanish buzo meaning "diver." Fondo. Borrowed also from the Spanish word meaning "bottom, depths, end, back, bottom." We get the English words "profound," "foundation" and "fundamental" from the Latin root word fundus meaning "bottom." The word fund, as in a bank account, is also connected to this, because, as they say, money is the bottom line, and fondo in Chamorro can also mean a bank account. Cultural stereotypes often fail when we meet exceptions to the rule, but it does seem that there are some traits which are strong among certain groups of people. We could say, for example, that respect for elders is one of many Chamorro traits, keeping in mind there are exceptions to that rule here and there! Many people, over the years, have made the observation that it's very hard at times to pin down a Chamorro on what s/he thinks, wants, likes and knows. Outsiders are not the only ones who have made this comment; some Chamorros themselves have said this, as well. Perhaps it comes from our hesitation to be assertive or to disagree or differ from the person we are speaking with. A Chamorro writer, John Del Rosario, talks about this trait among many Chamorros. He uses the word håfkao to describe it. Håfkao refers to something uncertain or doubtful. The word could come from "håfa kao" or "what" plus the question marker "kao." Or it could come from "håfa hao," literally "what" and "you" but perhaps meaning "what have you," again, pointing to something uncertain or undetermined. Guaha taotao ilek-ña na i Chamorro et mås båba na testigo gi kotte. Sa' håfa? Sa' pot ma u'udai i lenguahi-ta gi palåbras "fana'an, kåsi, buente." (Why? Because our language rides on the word, "perhaps, almost, maybe." Adeset, puro ha' håfkao i Chamorro (ilek-ña este na taotao). "Håf kulot chininå-ña i mamuno' annai humuyong ginen i gima'? Kao asut pat betde?" Manoppe i testigo, "Fana'an asut. Åhe', betde. Kåsi todo i dos!" Håfa opinion-mo? Kao konfotme hao na taiguine kostumbre-ta an manguentos hit? The whaling ships and others who visited Guam in the 1800s brought people here from all corners of the world. Take, for example, a 16-year-old man named Sheg Apdug. He was from Calcutta (modern-day Kolkata) and was brought to Guam on George H. Johnston's schooner, the Ana, in 1865. Johnston was married to Ana Olivares Calvo, of the Calvo clan that settled in the Marianas. More than likely, Johnston recruited Sheg to work on his schooner out of Hong Kong, which Johnston would visit once in a while. Sheg was Christian, by the way; a Protestant. It could be that he was taken in by Christian sponsors, or a church, in India or Hong Kong. He wasn't educated in a Christian school, though, because at age 16 he still wasn't able to sign his name. José Aguon Herrero was his sponsor on Guam. I am not sure whatever became of Sheg. If he stayed, married and had children, we should see some evidence of that in the records, but we don't. It could be he eventually left Guam. As easily as many came, many left. Sheg wasn't the first Indian who lived on Guam or the Marianas. In 1638, the Spanish galleon the Concepción sank off the southern coast of Saipan. A Lorenzo Malabar was a survivor who remained in the Marianas all the way till the arrival of Sanvtores in 1668. As a layman, he joined Sanvitores' missionary crew. Malabar isn't his family name. It describes him as coming from the region of Malabar in India. Located in southwestern India, Malabar had many Christians. As the island had been depopulated of its native Chamorros by the 1740s, when the Spanish authorities moved the Saipan Chamorros down to Guam, where they mixed and became indistinguishable from the Guam Chamorros, the Spanish government allowed Carolinians to settle in Saipan in the early 1800s. The generally accepted date is around 1815. That was only the beginning. 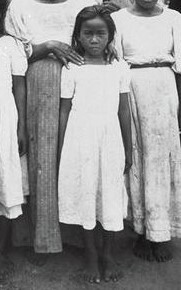 People from islands such as Satawal, Woleai, Eauripik and many others continued to move to Saipan for the rest of the century into the early 1900s. 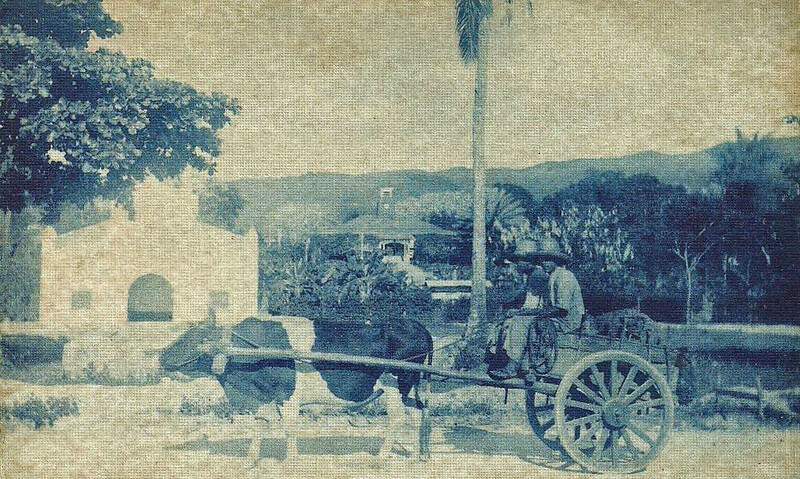 By the 1850s, the Spanish officials in Guam wanted to bring the Carolinians more and more into the cultural and religious environment the Spaniards had established on Guam and Rota. So the Spaniards sent a Chamorro teacher from Guam to Saipan; they organized the Carolinians into a community with their own leaders holding Spanish colonial titles; they sent a priest to establish a church on Saipan. There were no forced conversions at the point of a spear or gun barrel. But the resident priest, and the handful of Chamorro settlers, did encourage the Carolinians to consider baptism, especially for their children if there was danger of death. In time, the children were regularly brought to the priest for baptism, even when the parents remained unbaptized! Who, then, were to be the godparents of these Carolinian children (and adults, too!). In the 1850s and 60s, it was the Chamorros from Guam and Luta who moved to Saipan who acted as godparents for the Carolinians. This shows that the two groups did interact with each other and formed some bonds. For most of the 1800s, the Carolinians were the majority group in Saipan, until the late 1800s and early 1900s when both a higher Chamorro birthrate and increased movement of Guam Chamorros to Saipan between 1890 and 1914 pushed the Chamorro population higher than the Carolinian. Many of the Carolinians took on the Christian name of the godparent. Most, if not all, Carolinians maintain the tradition of carrying their Carolinian given names to this day, even if those names are not seen on birth certificates and are used only inside the family, clan or close associates. I have modernized the Carolinian names so they can be identifiable to modern generations; the Spaniards spelled some of these names in very unique ways! Not all the Chamorros in Saipan at the time stayed there. Gregorio Perez (whom I suspect was the founder of the Goyo clan, but I have no proof for this) did not remain in Saipan for the rest of his life. There is no trace of him in the Saipan documents later on. * Mariano Paulino was not Chamorro. The founder of the Paulino clan of Guam, he was a Filipino who married a Chamorro, Maria Borja Aguon. I say that in jest, of course, as there were no beauty contests on Guam in 1830. But it does suggest that Juliana Aguon was a beautiful woman, who captured the hearts of four Spaniards, more or less one right after the other! Some suggest that she was born in 1805. If that is not the exact year, then it is close enough. Juliana's "busy" years being pursued by Spaniards (or did she also pursue them?) seem to begin around 1825 when she would have been 20 years old or so. An early suitor was no less than the Spanish Governor of the Marianas, José Ganga Herrero, who arrived on Guam in 1823. Apparently he already had a wife, but that didn't stop him and Juliana from having two sons. Perhaps he didn't bring his wife with him to Guam. In any case, the Governor legally recognized them as his sons, so they carried the Herrero surname. Although the Governor left Guam (amid a lot of controversy with his own Spanish government), his sons remained on Guam with Juliana and the family was later involved in government and commerce. Another suitor was no less than a Spanish priest, who arrived on Guam in 1829. He eventually became the priest of Hagåtña. He had a daughter with Juliana named Dolores. The priest couldn't legally recognize her, so Dolores remained Dolores Aguon. Dolores eventually married Manuel Flores and their descendants are the Kabesa Flores clan. And I always noticed how many of the Kabesas have Spanish features! The priest died on Guam in 1843. The Kabesas have always been prominent on Guam in all aspects of public life. Finally, Juliana got married. Her husband was the Spaniard Luís Portusach. They had a son Joaquín, and from him came the Portusach family of Guam, perpetuated by his sons José and Francisco. This family, too, was always involved in government and commerce. We may as well go for a fourth! After Portusach died, Juliana married another Spaniard, Francisco Salar and had a daughter named Rita with him, so the Salar last name eventually disappeared in the Marianas when Rita got married. So there you have it. At least four Spaniards became the fathers of Juliana's children. I would think that had Guam a beauty contest in 1830, Juliana would have been one of the prime candidates for that crown. NOTE : When Juliana signed her name in 1864, even though she had been married to Portusach and then to Salar, she followed the Spanish custom whereby married women retained their birth names and did not take on their husband's surname. It isn't a surprise that José de la Cruz had a nickname. Names as common as his almost required a nickname, to help people distinguish WHICH of the many José de la Cruzes you were talking about. What's surprising is that this José de la Cruz had a Mexican nickname. In the 1832 document, this person's identity is, "José de la Cruz, alias 'el Guachinango.'" Having an ear for regionalisms, I suspected it was Mexican. And sure enough, there is a town in the State of Jalisco in Mexico called Guachinango. To make matters more interesting (or more complicated), guachinango can also mean a kind of fish (red snapper). In Cuban and Puerto Rican dialect, it can mean a clever person, a joker or a flatterer. So why does this Chamorro guy have a nickname like this? Well let's not assume he was Chamorro. 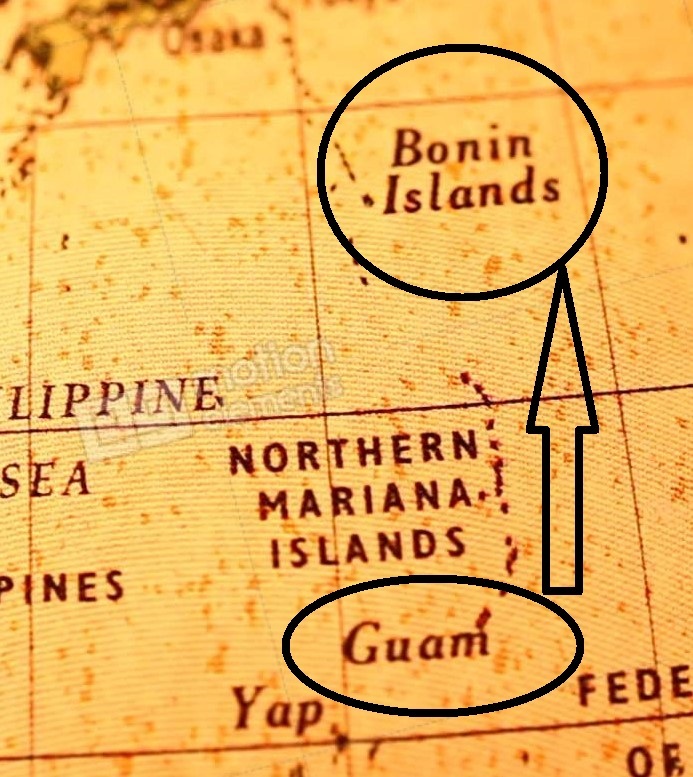 In 1832, there very well could have been a Mexican, Cuban, Puerto Rican or just about any Latin American person living on Guam. But even if he were Chamorro, Mexican influence made a mark on the Chamorro language and culture in the 1700s. The Acapulco Galleons were passing through Guam until the time during Mexico's war for independence in 1815, not too long from 1832, the date of this document. In some parts of the Philippines, gwatsinanggo means "shrewd" or "cunning," among other things, which follows one of the meanings of the word for in the Caribbean. The fact that the word made it even as far west as the Philippines makes it more credible that the word spread to the Marianas. The fact is that our islands were always getting visitors from east and west and being influenced by them. Why José was called "El Guachinango" will remain a mystery. Garapan was the only village in Saipan from the start of the resettlement by Carolinians sometime around 1815, until the founding of a second village, Tanapag, between 1879 and 1889. Still, Garapan remained the larger of the two villages and the seat of the island government. By the time the Germans came in 1899, Garapan numbered close to 3000 people. The Chamorros and the Carolinians lived in separate sections. The Carolinians lived in the southern part of town. Two partial church records indicate the names of some of the streets in Garapan. There may have been more streets named on a second or third list which have been lost, so we cannot say these were the only street names. But at least we know some. The first record was made just at the end of German times (1914) and was written by a German priest. The second record was made in the early years of the Spanish Jesuit administration of the church, but it shows a continuity with the German records. There is no big change in names. The interesting thing is that, in 1923, the Japanese were already ruling Saipan and had their own street names. The street right along the beach was called Kaigan Dori in Japanese (Seacoast Street). But the priests continued to use the older, non-Japanese names for the streets, at least in these early years. This Father Francisco was Father Francisco Resano, the last Augustinian Recollect priest of Garapan, who departed Saipan in 1907 when the German Capuchin priests took over. 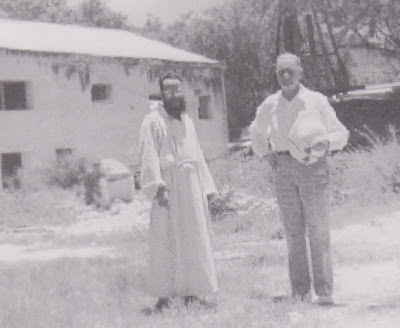 Father Resano was also the last Augustinian Recollect priest of Hagåtña and left Guam only because the American Naval Governor Richard P. Leary expelled the Spanish Recollect priests from Guam in 1899. Resano left Guam and moved to Saipan. 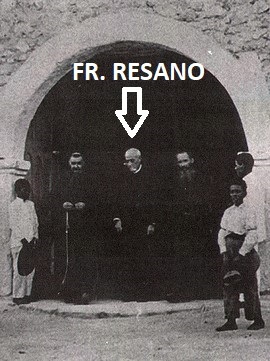 Father Francisco Resano appears in the middle of this picture, in between two German Capuchins, and some Saipan residents at the sides, at the front door of Garapan's church in 1907. The Spaniards left the Marianas in 1899, but a street named after them maintained their memory, at least for a few more years. This is an interesting one because it is named for a group of people the Saipanese were glad to get rid of! 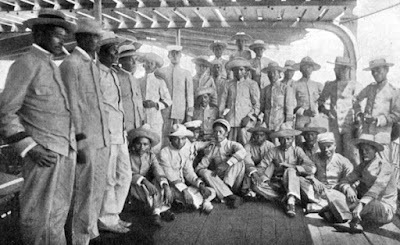 In early 1899, around 700 Filipino soldiers and their families from Macabebe, a town in the Philippines, arrived in Saipan. These soldiers were on the Spanish side of the war against both Americans and Filipino nationalists. Seeing how the war was ending with a Spanish defeat, these Filipinos who fought for Spain decided to escape for Saipan, still under Spanish control. The people of Saipan now had to house and feed 700 extra people and it wasn't easy. 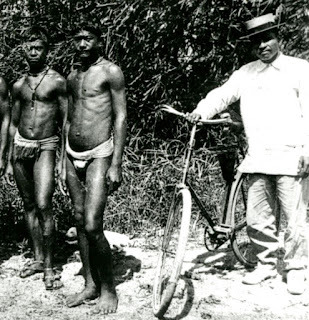 The military commander of the Macabebes was bossy and made the Saipan people obey his orders. When the Germans took over Saipan towards the end of 1899, the Saipan people rejoiced in seeing the Macabebes leave island. And yet there was a street named after them. None of the streets were paved, in the modern sense, but not all, apparently, were covered with gravel. "Bodeg" was the nickname given to a branch of the Ada family. Originally from Guam, the family moved to Saipan but, in time, some moved back to Guam and the Bodeg family can be found in both islands. True enough, the head of the Bodeg family, Pedro Pangelinan Ada, and his wife María Martínez, lived on Bodeg Street. Pedro had a large, two-storey mampostería (stone and mortar) house with a metal roof on this street. Although the German priest spelled it Callego, I am pretty sure he meant Gallego, as there is no word or name Callego in Chamorro or Spanish. But there is both a word and a name Gallego in Spanish and Chamorro. In Spanish, gallego means a person from Galicia, a province in Spain. In Chamorro, Gayego is the nickname of one branch of the Díaz family, found in Saipan but also elsewhere. The German priest wrote this in German, and it means "Carolinian Street." 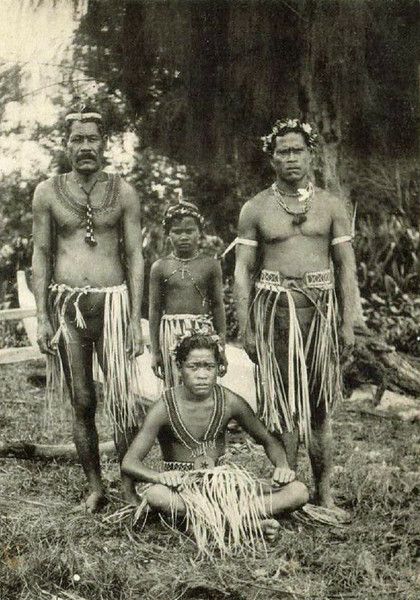 The "Carolinians" are those islanders from many different islands in Micronesia such as Elato, Satawal, Lamotrek and Eauripik among many others. They began living in Saipan around the year 1815. For many years they were the majority race until the Chamorro population increased and became the majority. Another name given in German. Laolao is the name of the largest bay in Saipan, and it lies on the eastern part of the island. Many Westerners called it Magicienne Bay, after a British ship which anchored there in 1858. The area was heavily populated during the pre-contact time and there are remains of pre-contact villages there. This is just to show that there were people not living on a street but rather on the beach or coast. Their houses were described as being on the oriyan tåsi (along the sea). The 9000 or so people who made up the Marianas in the late 1800s were an interesting mix. In the rural villages and in Luta, the majority of the people had roots closer to the pre-contact race. In Hagåtña and Saipan, the mixed blood, or mestizo, dominated : a mix of the the original pre-contact race, Spaniards, Mexicans, Filipinos, Chinese, Anglo-Americans and smaller numbers of Portuguese, French, Dutch and others. Not to be excluded from this melting pot of races was the mixed-blood, higher class Filipinas. There were at least two of them who lived in the Marianas in the second half of the 19th century. 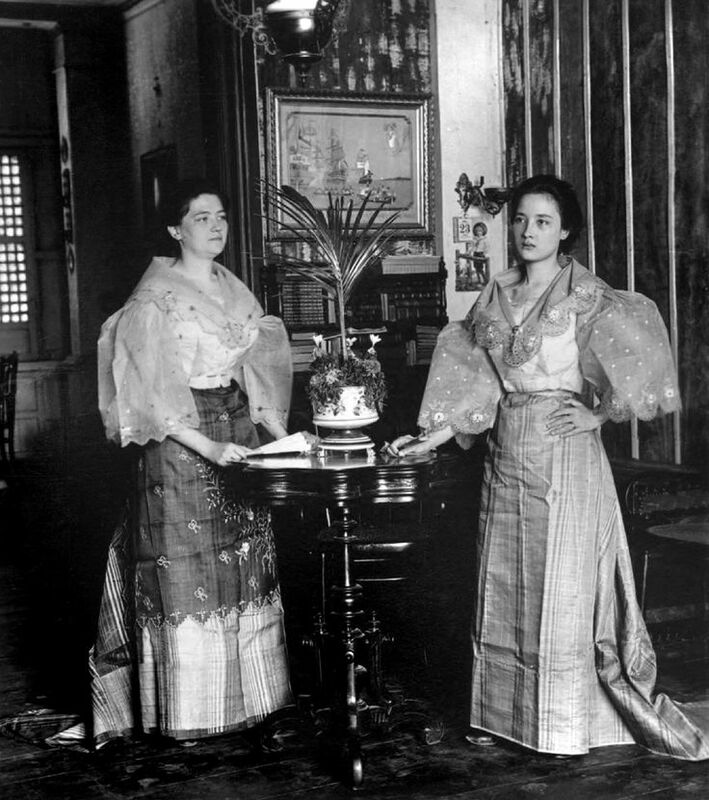 Doña Regina Sigüenza y Soto was from Manila, the daughter of Don Agustín Sigüenza and Doña Silvia Soto. She was married to Don Vicente Calvo y Olivares, of the Calvo clan that eventually became part of the Chamorro community. Don Vicente was born in Manila of a Spanish father and mestiza mother. As his father, Don Félix, had a government position on Guam, Don Vicente lived on Guam also, but the Manila connection was never lost or weakened. The Calvos were constantly going back and forth between Guam and Manila. As the Calvos were government officials and entrepreneurs, and very Spanish, they would have married within their class and milieu. Regina was almost certainly of a somewhat elevated class. We know from existing documents that she had her own financial affairs to attend to in Manila, separate from whatever her Calvo husband had. She filed to have someone in Manila represent her interests there, since she lived on Guam. More than likely she would have had an education and was conversant in Spanish. Her racial lines are not precisely known, but her Spanish surnames and the fact that Spaniards and mestizos tended to marry women with at least some Spanish blood point in that direction. As a widow, Doña Regina befriended William Safford, the Secretary to Guam's first American Naval Governor. The educated and erudite Safford spoke excellent Spanish. One can sense that Regina looked forward to her chats with him. She made sure to send him little treats, like jam, now and then. The second Filipina (more than likely a mestiza) was Doña Elena Chabran. She was married to another Calvo, by the name of Bonifacio. He was a retired captain in the Spanish military. After Bonifacio died, Elena remained in the Marianas, marrying Don Juan de León Guerrero, who is described in records as a platero (silversmith) of Hagåtña. But he eventually moved to Saipan and became the Alcalde (mayor). 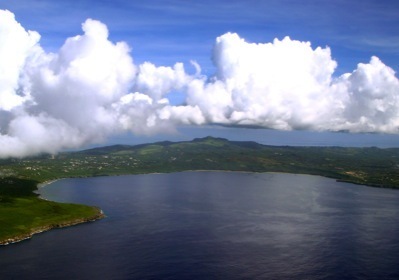 Many of Doña Elena's descendants live in Saipan to this day. I still need to get clear information on this, but family tradition also says that Elena also married Manuel Sablan Calvo, patriarch of the Yigo Calvos. The American and British whalers who stopped on Guam in the 1800s often found many young Chamorro men very willing to join the crew. But, in one case, it was a young Chamorro girl that an American captain wanted. Leonard Gifford was the captain of the whaling ship Hope. In 1862, the Hope sailed into Apra Harbor and stayed for some length of time. Gifford was accompanied by his wife Lucy Ann, who had given birth twice while on the high seas, sadly losing both children in infancy. By the time Gifford came to Guam in 1862, there was a young daughter Ella in tow. While on Guam, Gifford made acquaintance with a Joaquín Iglesias of Hågat. Joaquín had a daughter aged 11 years by the name of Leocadia. We don't know if Iglesias made the offer first, or if Gifford made the request first, but the result was that Iglesias agreed to let Leocadia take up residence with Gifford wherever he may be, whether on Guam or elsewhere, to serve the Gifford family. This isn't a surprise, since Gifford had a wife who was either pregnant or having just given birth. She needed help. The legal contract between Iglesias and Gifford stipulated four years of service, after which time Gifford was responsible for bringing Leocadia back to Guam. Gifford was obliged to feed and clothe Leocadia, to treat her well and not prevent her from fulfilling the duties of her Catholic religion. It seems that Gifford went off for a while, leaving Lucy Ann and Ella on Guam in the meantime. A Sydney newspaper reports that Gifford brought 1000 coconuts to sell in Australia. 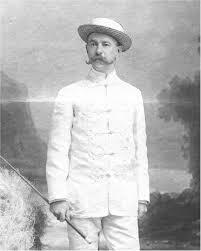 A son was born to him on Guam in November of 1863, and he was named Leonard Stanhope Gifford. His place of birth is indicated in this 1865 Massachusetts State Census. He is the 2nd name from the bottom. Not long after the birth of his son on Guam in 1863, Gifford and family left the island. By 1865, the whole family was living in New Bedford, Massachusetts, including a 13-year-old girl born on Guam listed as Gorza. She is also listed as being black or brown in color. This is more than likely Leocadia, who would have been 13 going on 14 in 1865. Why is she called Gorza? It wasn't unusual for Chamorros to go by new names once they left the islands. They adopted names easier for their Caucasian bosses or masters to pronounce. Imagine. A Chamorro teenage girl living in Massachusetts at the end of the American Civil War. Gifford died in 1868 and Leocadia (Gorza) is not seen in any documents after 1865. Did she ever return to Guam? It's possible. But it's just as possible that Leocadia stayed in the U.S. till her death. Rosemond of KKMP radio station in Saipan does a great service announcing funeral arrangements in Chamorro. I asked her to let me record her doing one and, since we needed a name of a deceased person, I had her use my late brother's name. The script can be used by any funeral. Just the names, dates and places need to be changed. Here is the recording followed by the script. gi (day of the week) na ha'åne, (month) dia (day), (year). I difunto/a as (name of deceased) låhen/hagan (name of parents, better-known-as if applicable). gi gima'yu'us (name of church) ya tinattitiye nu i Såntos Lisåyo. gi ega'an/talo'åne/despues de talo'åne, ya para ma konne' guato para i gima'yu'us (name of church). ya u tinattiye ni mahafot-ña gi sementeyon (name of cemetery). I finatton-miyo yan i tinayuyot-miyo ma sen agradese. Si Yu'us ma'åse' ginen i familia. 1. Rosemond pronounces Jude as Hoo - day as is said in Saipan. Remember that traditionally, in Chamorro, the J is sounded like an H, as in Jose, Juan and Joaquin. 2. Anunsio is the noun (announcement) and anunsia is the verb (to announce). Notisia can also be used but it specifically means "news." 3. Malaknos. Laknos means "to take out" or "bring forth," "put out." In terms of death, it means the time when the casket of the deceased leaves the mortuary. 4. Entiero means funeral service, usually a Mass.